The woman who will lead Paisley’s bid to be UK City of Culture 2021 is coming home – and wants the bid to inspire a new generation the way Paisley inspired her. Having been brought up in Ferguslie Park, Jean Cameron will be back where it all started when she takes up her role as City of Culture Bid Director next month. The former pupil of St Fergus Primary and St Mirin’s and St Margaret’s High has enjoyed a career in the arts which has taken her across Europe over the past two decades, including producing Scotland’s exhibition at the Venice Biennale in 2005. She will join Renfrewshire Council having spent the past few years leading on the international strand of the cultural programme for the Glasgow 2014 Commonwealth Games, working with artists from many of the 71 competing nations. Her current role is as a senior arts producer at Glasgow Life where she has shaped many of the city’s leading cultural outputs including the Glasgow International Festival of Visual Arts, Glasgow Mela and Aye Write! And Jean, 46, is delighted to have come full circle as she prepares to help launch the town which inspired her career on to the international cultural map. She said: “I am really thrilled to be coming home and it is an incredible honour to be able to work on this in my home town. “My love of the arts and culture was fostered in Paisley – my first love was dance and my first time on a stage was aged three at a dance display in Paisley Town Hall. “I left the town at 17 to study in Edinburgh but came back at 20 and worked part time at Paisley Arts Centre, while helping out David Wallace at PACE with the choreography on their pantomimes. “Sadly, I had to move away from Paisley because there wasn’t much here in terms of a career in the arts. “But that’s why it is so exciting to see the range of courses in creative industries available now at UWS and West College Scotland – it is great to think that has changed in the past 20 years. Jean’s family are still dotted around Paisley, including her mum, who worked in the Ferguslie Mills. 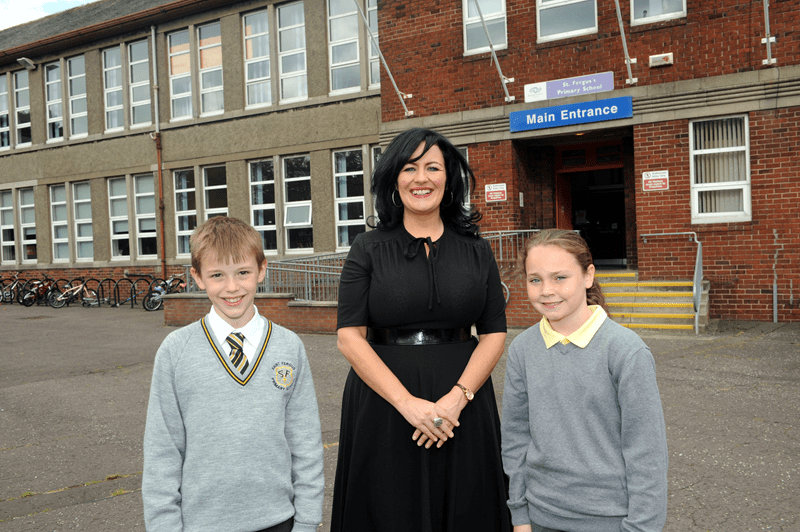 And Jean – who grew up in Tannahill Road, named after the town’s most famous poet – was back on home turf when she visited her old primary school at St Fergus, where she met head boy and girl James Ramsay and Jade Corrigan. In her new job, Jean will co-ordinate Paisley’s UK City of Culture 2021 bid document, while driving the campaign to support it. The bid is due to be lodged and decided upon by the UK Government in 2017. And she is brimming with enthusiasm for the impact the bid can have on Paisley and the wider Renfrewshire area. She added: “The bid will help us change the town for the better and you can see the drive and momentum building up already. 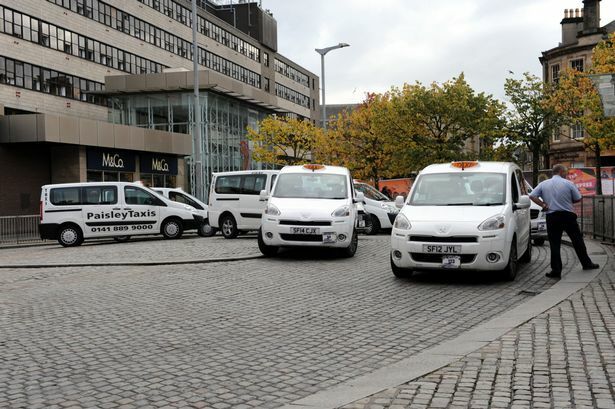 “The benefits will be social and economic – we know culture is worth around £7.7bn to the UK economy and we want to increase the slice of that which comes to Renfrewshire. “The bid offers a real opportunity to take the great strengths the town has with its heritage and built environment and to build on that. Councillor Mark Macmillan, chair of the Paisley UK City of Culture 2021 partnership board, added: “As bid director, Jean will have a key role to play as we look to pull together a bid which the whole town will get behind and be proud of.